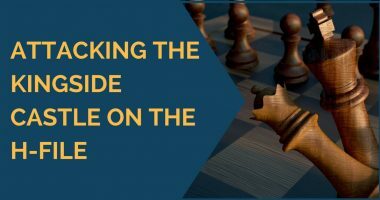 In today’s article we are going to continue our inquiry on the art of attack in chess. We have seen so far numerous ideas of sacrifices that can destroy our opponent’s castle and leave the king open. Another plan you could use in order to start an attack against the short castle is to use the h file. This is most often used in positions with opposite side castles or in cases where you haven’t yet castled, but your king is in no danger, so you can start actions on the kingside. 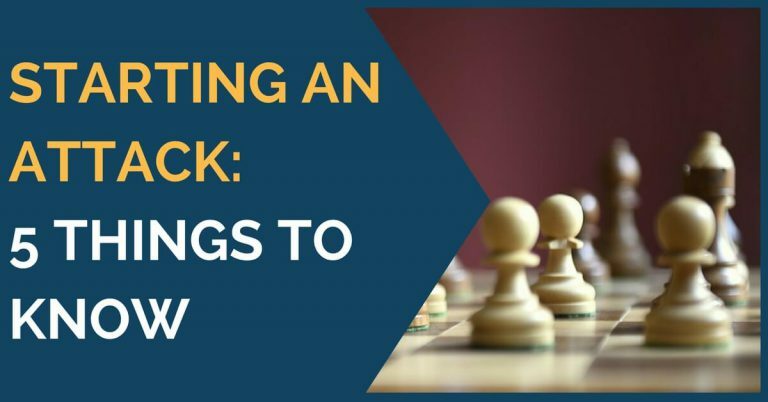 The advantage of this idea is that it is usually very fast, as your rook is already on h1 and the only thing you have to do is open its file. 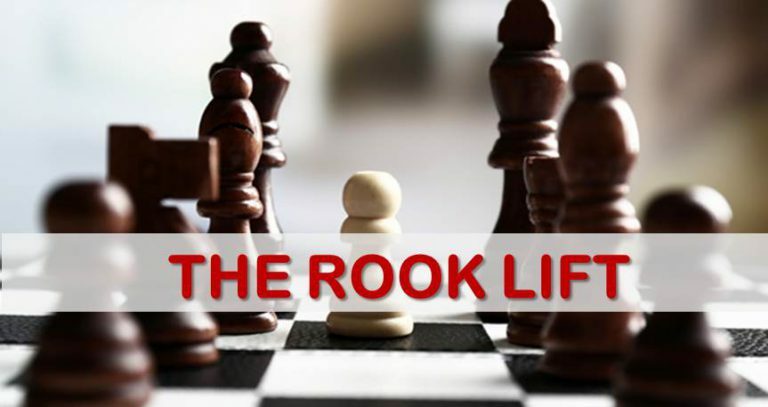 If your rook is no longer on h1 and your kingside structure can’t be weakened by the advance of the h pawn, always remember the idea of a rook lift. It can be brought in the attack via the 3rd rank on h3 and create mating threats. 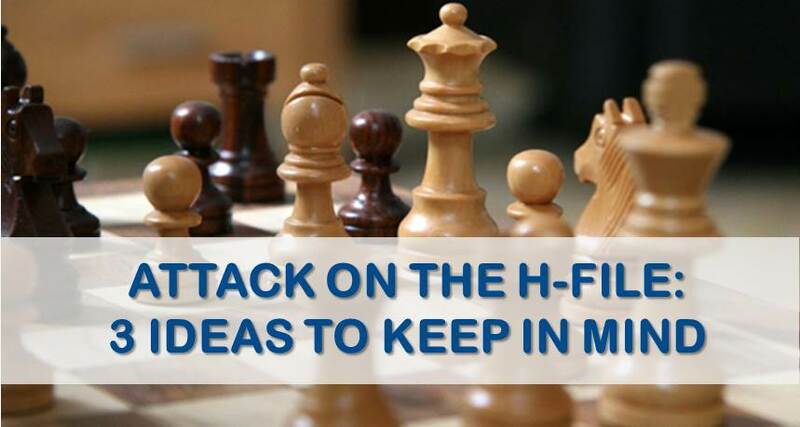 Now that we have reviewed the ideas you can employ in order to start an attack along the h file, let’s see how Grandmasters use these plans in their own games. We’re going to start with the game of a very skillful attacking player, Grandmaster Judit Polgar, who won a very nice game in a French Defense against a strong Grandmaster, Ferenc Berkes. In this game we are going to see the idea of opening the h file with a knight sacrifice on g5 in a position with castles on opposite sides of the board. Judit started the attack very quickly after the opening, without any further preparations, and, thanks to black’s passive pieces, it proved decisive. In the next example we are going to see that attacks on the h files are possible even with castles on the same side (kingside). For this, we chose a game played by the top Grandmaster Levon Aronian against Australian Grandmaster Zong-Yuan Zhao in the 2010 Chess Olympiad. It started as an Open Catalan where white sought quick control over the center by bringing his rooks on the central files and pushing e4. It’s very nice to see how Aronian regrouped his pieces and soon launched a powerful attack on the h file. Last, we are going to see an example where white quickly starts an attack against black’s short castle with h4-h5, leaving his king in the center. Known for his preference for sharp, attacking positions, it is no surprise that top Grandmaster Baadur Jobava chose this plan against the young American Grandmaster Ray Robson. It is very instructive to watch how he didn’t allow any counterplay from his opponent in the center, making sure to first limit his rival’s piece activity as much as possible. We hope that with this you’ll have one more attacking plan up your sleeve and you’ll be able to successfully use the ideas we presented in this article in your games.